I combine my talents, interests, and experience to bring my customers unique quality products that are carefully selected, designed, and/or produced by Del Mar Hat Co.
DESIGNER/ CREATIVE SOUL- Artistic design of original, custom pieces primarily in the area of hats, headpieces, & accessories, home products, and gift items. Extensive experience in commercial and residential design, retail space. A basic internal need to create what my imagination sees in numerous mediums. I never seem to run out of ideas or inspirations. I have spent 20 years in the US and Europe refining my design skills. I have studied hat design with some of Italy's finest design houses. MODELING- I worked as a professional model in print, runway, and film. I also worked on the agency side booking talent, styling photo shoots, commercials, stage production, and creative direction for print advertising. I use this experience to position product. MARKETING- Extensive experience preparing materials for all avenues of advertising. Corporate branding, business development, and promotional events. Areas include: internet advertising,logo design,national print advertising awards and international hat design award. 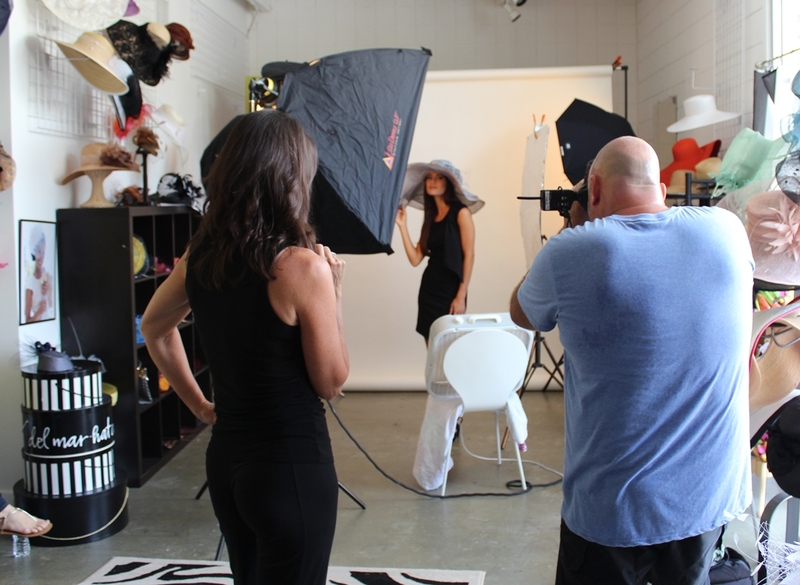 A passion for fashion, esthetics, and quality products that have functionality. I combine my talents, interests, and experience to bring my customers unique, quality products that are carefully designed, selected, and/or produced. Most of my products reflect a personal interest. I am inspired by colors, textures, nature, animals, music, my incredible family, "family friends", people, foods, and objects in my environment. COMPANY GOALS: To Have Fun! To offer my customers quality products with character, style, personality, and uniqueness, with a strong emphasis on the functionality of each item. To continually resource or develop new products that meet my criteria. To have fun and experience joy in the process. A true creative soul never runs out of ideas. My goal is to never run out of ideas for my customers....."the well is deep!" COMMENTS: I love my customers and enjoy the rapport I have with them. I listen carefully to feedback and try to implement the "collective feedback" and still stay true to my mission. I work extremely hard, but I never forget to enjoy those around me. Without the people the products are only objects. MANY THANKS! Thank you to all my devoted customers, especially those of you who have been shopping www.delmarhat.com from the beginning and for your continual enthusiasm. I love the letters and e-mails from all of you. COMPANY BACKGROUND: Established in 1995. Web site launched in 1996. Corporation.